It was the final day of the American Association of Neurology (ANA) conference yesterday and prion diseases took center stage. John Collinge, the only prominent British presence at the conference, set the ball rolling with insights into the potential treatment of CJD with anti-PrP monoclonal antibodies. 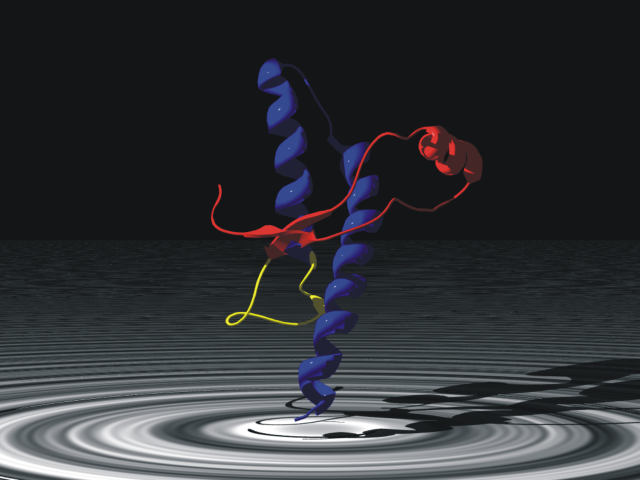 “Prion subdomain-colored sec structure” by Cornu (talk) 19:04, 5 June 2009 (UTC) – Own work. Licensed under CC BY 2.5 via Commons. But it wasn’t the day for traditional prion diseases as speaker after speaker took the stage to claim prion pathology for other neurodegenerative diseases; and not just Parkinson’s disease (PD) or multiple system atrophy MSA. Neil Cashman gave an excellent talk on propagated misfolding (what a buzzword) in SOD1 motor neurone disease (MND) and also hinted at potential treatment with antibodies. Marc Diamond looked at tau prions and how their spread may be tracked by FRET-based biosensor cell assay (a mouthful). J Paul Taylor looked at the role of RNA binding proteins (RBPs) in several neuodegenerative diseases including MND and frontotemporal dementia (FTD). And yes, these RBPs show prion-like activity. There was an interesting case-based session on chronic traumatic encephalopathy (CTE). This was led by Jeffrey Kutcher, possibly the foremost authority on this neurodegenerative condition. I learnt that CTE is a post-mortem diagnosis and that in life the diagnosis should be restricted to traumatic encephalopathy syndrome (TES). “Blausen 0836 Stroke” by Blausen Medical Communications, Inc. – Donated via OTRS, see ticket for details. Licensed under CC BY 3.0 via Wikimedia Commons. 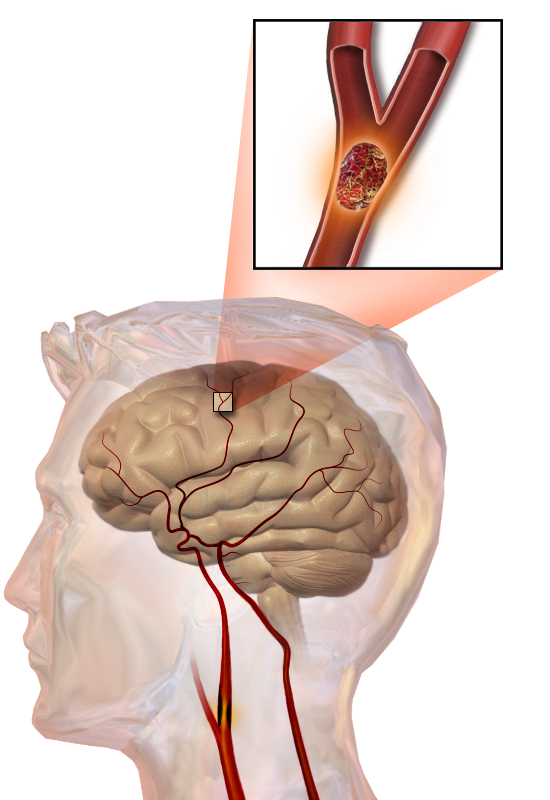 The day was rounded up by two excellent debates on stroke treatment. Marc Chimowitz took on Graeme Hankey on the comparative advantages of dual and single antiplatelets for secondary stroke prevention; it was the battle of the lumpers versus the splitters and it was probably a draw. Jeffrey Saver was however the clear winner over Colin Derdeyn by arguing for the combined use of thrombolysis and thrombectomy, rather than thromectomy alone.